Discipleship: We simply want to know God through a personal relationship with Jesus Christ. Evangelism: We want to share what we know about God with others so that they have the best opportunity to accept God’s grace through Jesus Christ. Family: We value the family and strive to strengthen the family at home as well as through our church family. Nonjudgmental: We value and practice a nonjudgmental ministry and accept and love everyone just as they are. Culture: We will keep our service and activities culturally relevant to the cowboy lifestyle and our western heritage. Governance: In keeping with our culture and western tradition, those who get their hands dirty and do the work of ministry also help govern the ministry. Association: We will work cooperatively with like-minded churches, ministries and associations to further the Gospel of Jesus Christ. Under the guidance and leadership of the Lord Jesus Christ, we the members of the Lost Pines Cowboy Church adopt the following constitution in order to declare and preserve the principles of our faith, the freedom of our church, and the rights and responsibilities of our individual members. The name of this church is the Lost Pines Cowboy Church and is incorporated under the laws of the State of Texas. 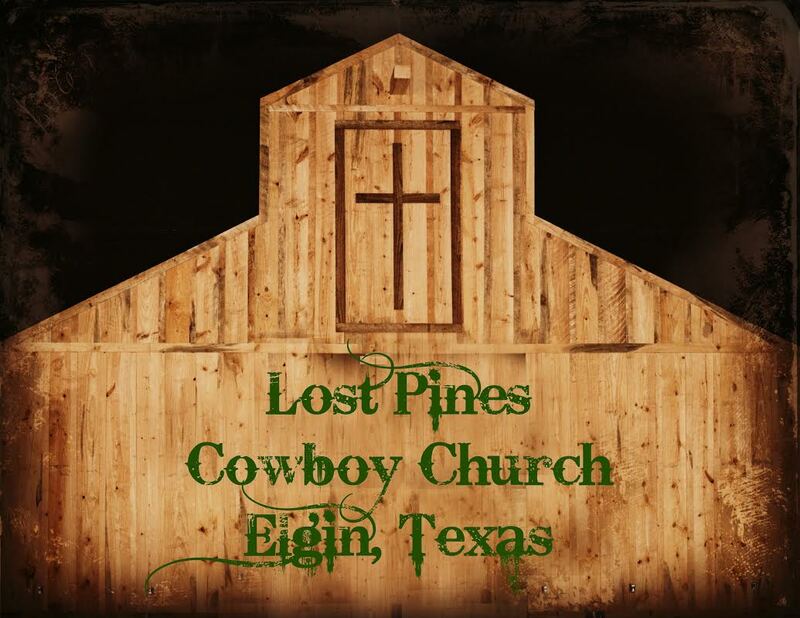 The church is organized and maintained to fulfill the following Mission Purpose Statement: The mission of the Lost Pines Cowboy Church is to reach the lost and unchurched people of Elgin, the surrounding communities and the world with the Gospel of Jesus Christ so that they experience the love of God and have the best opportunity to become fully developing followers of Christ. A fully developing follower of Christ . . .
• Worships God: Honors God by worshiping Him corporately, in both large and small gatherings, and by maintaining private devotions. • Lives by God’s Word: Understands the Bible as the ultimate authority for daily living and is involved in corporate, small groups, and private Bible study. • Contributes to God’s Work: Uses their time, abilities, spiritual gifts, and finance for God’s glory. • Connects With God’s People: Pursues Christ-honoring relationships at home, in the church, at work, and in the community. • Impacts God’s World: Reaches out to the lost and unchurched by praying for them, witnessing to them, and inviting them to Lost Pines Cowboy Church events. Simplicity- The church will strive to keep all things it does as simple as possible. Non-judgmental approach- The church will foster a non-judgmental atmosphere in all it does, accepting people just as they are, just as Christ himself does. Cultural relevance/Western Heritage- The church will make sure that all it does, including all of its programming and ministries will be geared toward reaching people in the western culture and those who love it. Practice of Biblical Christianity- The church will practice biblical Christianity. This will be practiced by the leadership and the congregation. Elimination of barriers to the cowboy culture- The church will do all that it can to lower or eliminate the barriers preventing the Gospel of Jesus Christ from reaching the western culture. Empowerment with Accountability- The church will strive to empower as many people as it can to serve Christ through the church and bring out the giftedness in them while holding them accountable for their actions and commitments. Power of the Gospel- The church believes in the power of the gospel for salvation of individuals and healing of body, mind and spirit. This church affirms the Holy Bible, the inspired word of God, as the authority in all matters of faith and practice. We further identify ourselves as a distinctive body of faith by affirming the 1963 Baptist Faith and Message. In accordance with Acts 14:23 we recognize the Pastor and Elders as scriptural officers. Jesus Christ is the head of the church, the true source of all that the church is and does, and His glory is to be the objective of every act, function, and motive of the body, both individually and corporately. It is before Him that all other leadership must bow. He communicates his will for the church through his word, the Bible. He gives additional guidance by means of the specific leading of the Holy Spirit who indwells the heart of each believer. He calls forth leaders for the church to whom He gives responsibility for the oversight of the church body and the shepherding of its members. The government of this church is vested in the body of believers who compose its membership and leadership. Persons meeting the membership requirements and making a written request for membership shall constitute the membership. All internal groups created and empowered by the church shall exist to further the purpose of the church. They will be accountable to the church. As an autonomous local church, this church is not subject to the control of any ecclesiastical body. However, it relates to and cooperates with the Baptist General Convention of Texas, the American Fellowship of Cowboy Churches and other entities of like faith in sharing the gospel with the whole world. If an entity this church cooperates with ceases to agree with or support the mission of this church, this church reserves the right to disassociate with that entity. A church is understood to be a fellowship of baptized believers brought together to carry out the work of Jesus Christ. A baptized believer is one who has professed their faith in Jesus Christ as Savior and has experienced baptism to be a symbol of the salvation which has already been accepted in their life by the grace of God through faith in Jesus Christ. Baptism marks the beginning of Christian discipleship and is the ceremony observed one time, once and for all, signifying that once and for all Christ has forgiven us and made us to be His child. Baptism is the doorway into the invisible church, the body of Christ, because it is a visible reality that has occurred in the life of a believer. The church will observe the Lord’s Supper on a regular basis as led by the Pastor. The Lord’s Supper is a symbolic act whereby the church, through partaking of the bread and the fruit of the vine, memorialize the death of Christ and anticipate His second coming. This observance is open to anyone who has accepted Jesus Christ as their personal savior and is seeking His righteousness. This Constitution may be amended by a three-fourths (3/4) vote of the active resident members present at a church conference called for that purpose. Amendments may be proposed by the Elders or by written petition signed by 25% of the active resident members and duly presented to the Elders. Proposed amendments for church consideration shall be announced at the regular worship service and made available in written form to the congregation two weeks prior to the called church conference in which they will be voted on. B. Baptism after faith in Christ as a testimony of salvation. Scriptural baptism in the cowboy church is by immersion. 1. Transfer of Membership from a Like Faith Church Candidates who are members in good standing of another church of like faith shall ask their previous church to transfer their membership to Lost Pines Cowboy Church. Candidates who have previously been members of another church of like faith and order, but are unable to obtain a letter of membership from said church, may join by affirming that they have received Jesus Christ as their personal Savior, have been baptized as a believer in the Lord Jesus Christ, hold to the historic teachings of Christianity, and desire membership in the Lost Pines Cowboy Church. Members joining by statement of faith that hold membership in another church are responsible for notifying their former church of their new membership in Lost Pines Cowboy Church. Candidates accepting Christ as their Savior and requesting believer’s baptism by immersion will be accepted as members upon baptism. D. All candidates for membership shall give a verbal testimony of their conversion, baptism, walk with Christ, and acceptance of the church’s mission statement to the Pastor or designated member of Leadership. If a member conducts himself in a manner which brings the name of Christ and the church into disrepute, or is found to be undermining church unity, it will be the responsibility of the Elders under the guidance of the Pastor to attempt to restore the member in a spirit of love according to the guidelines set forth in Matthew 18:15-17. If the member fails to respond positively to these attempts, exclusion will require a consensus of the Elder body and a written account signed by the Elder body outlining the process laid out by Matthew 18:15-17 that they followed with the member. The written account will be available to members of the congregation upon request. . If a member requests erasure or offers proof of membership in a church of another denomination, his/her name will be removed from the membership roll. Each active resident member present, 16 years of age and older, shall be entitled to one (1) vote on each matter submitted for a vote at any called church conference. The right of an active resident member to vote shall cease upon the termination of his membership in the church. The right of an active resident member to vote may be suspended if the member is involved in an unresolved Elder intervention or if the member is no longer an active resident member. An active resident member is a member on the church roll who lives in or around the Bastrop/Lee/Travis/Williamson County areas and attends the church’s regular worship services at least 6 times in a 90 day period. Active resident members have the right to vote on the following matters: the call of the Pastor and other professional ministerial staff, Elders, the annual church budget, indebtedness associated with land acquisition and/or building improvements, cumulative indebtedness for all other aspects of church business that exceeds 20% of the annual church budget, the disposition of all or substantially all of the assets of the church, the merger or dissolution of the church, and any other matter submitted by the Elders to the church for a vote. Upon the Pastor’s termination, a church conference will be called and the church will elect a Pastor Search Team. This team will consist of no fewer than three and no more than eight active resident members. This team will seek out and evaluate prospective Pastoral candidates until they achieve complete consensus on a single candidate. Potential candidates will not be presented to the congregation as a part of the Pastor search process unless a call is being extended. When consensus is reached on a single candidate, the team will report to the Elders who will set a time and date for the candidate to be received by the church. On that date, a church conference shall be called and after a full discussion, a vote will be taken by secret ballot. A three-fourths (3/4) vote of the church active resident members present and voting is required to extend a call. If a call is not extended by the church to the candidate, or if the candidate declines to accept, then the Pastor Search Team will be disbanded and a new Pastor Search Team will be elected to begin a new search and come before the church with a second recommendation. This method will proceed until a Pastor is secured. The Pastor shall be the spiritual leader of the congregation. In that capacity, under the Lordship of Jesus Christ and the leadership of the Holy Spirit, he shall preach and teach the word of God, lead the church in regular worship services, administer the ordinances of the church, serve as moderator at church conferences, provide leadership to the ministerial staff, serve as over all administrator of the church, work to implement the model of church structure and function laid out in this constitution and generally fulfill all his Pastoral duties as set forth in scripture. The Pastor’s duties with the church may be terminated by resignation, death, or dismissal. A vote for dismissal must be preceded by appropriate interventions in accordance with Matthew 18 by the Elders and a vote of at least 51% of the active resident members of the congregation at a called business meeting to call a church conference to vote on dismissal of the Pastor. Such dismissal will require a two-thirds (2/3) vote of the active resident members present and voting at a called church conference. The moderator for such a meeting will be a disinterested third party appointed by the Elders. If it is determined by the Pastor and/or Elders and confirmed by the leadership team that additional professional ministerial staff other than the Pastor is needed for fulfilling the church’s mission they may be employed by the church. After receiving budget approval for the compensation package, the Personnel Team will seek out candidates to fill the position, the top three candidates will be presented to the Pastor. The Pastor will make the final selection for the staff position. Professional ministerial staff persons will have specific and written job descriptions as outlined by the Pastor and/or Elders and/or the Personnel Team. The service of professional staff persons may be terminated by resignation, death, or a two-thirds (2/3) vote of the active resident members present and voting at a called business meeting. They are directed by the Pastor to help him carry out ministry duties. They are appointed and replaced by the Pastor at his discretion. Lay Pastors may be attached to one or more ministry teams. Lay Pastors do not run or lead the teams, they resource the team and act as a liaison between the team and the Pastor. Lay Pastors may be called on to participate in the worship service, i.e. announcements, prayer requests, administering ordinances, assisting in baptism etc. Lay Pastors may also be called upon to bring devotions, preach, pray or lead bible studies depending on their gifts, talents and spiritual maturity. Lay Pastors help the Pastor minister to the needs of the congregation in many ways, such as, visitation, meeting member's physical needs as well as the physical needs of the church. Lay Pastors shall be appointed as needed by the senior Pastor. If there is no Pastor they may be appointed by the Elders. Lay Pastors must be active resident members in good standing, be growing in the Lord and have an active daily relationship with Jesus. Lay Pastors must have a stable home life and be respected by others in the western culture and the community and not engage in activities that would bring reproach to the Lord or the church. Divorce alone is not grounds for disqualification. Lay Pastors will be appointed to a one year term, but may serve multiple terms by mutual consent of the senior Pastor, the Elders, and the lay Pastor involved. A Lay Pastor may be removed before their term of office expires by death, resignation, or dismissal by the Pastor and or Elders. Elders shall serve to provide spiritual leadership and accountability to the church in accordance with scripture. They will provide a brotherhood of support and accountability for the Pastor, assist the ministry teams with difficult issues, serve as arbiters in matters of conflict or church discipline, and in general provide spiritual leadership, guidance, and assistance wherever and whenever appropriate. The Elder body shall be made up of three selected Elders plus the Pastor, who is the lead Elder. Elders model what it means to be Christ like. Elders are an example for the congregation of how to live a Christian life, this includes how to relate to other Christians, how to relate to non-believers, how to be a godly an active personal relationship with Jesus. Elders must be committed to the Pastor. Elders act as a buffer between the Pastor and his critics; they also are an accountability group for the Pastor, prayer partners for the Pastor and friends of the Pastor. Elders are to meet with the Pastor on a consistent regular basis for consultation, prayer and fellowship. The only time when the Elders become a decision making body is when (1) they are called on by the Pastor to help him make a decision, (2) when a ministry team cannot reach consensus on an issue or asks for the Elders help, (3) when the functional structure does not exist or breaks down, (4) in matters of church discipline. Elders do not have ongoing roles in the worship service and are not overly involved in the various ministry teams. Elders are not an oversight body for the finances, personnel or Pastor unless it is determined that unbiblical, immoral or unethical behavior has occurred. They can be enlisted by the Pastor, Personnel Team or the Audit Team if it is deemed necessary by any of these. Elders cannot have dual leadership roles. When a candidate for Elder is nominated he must be willing to step down from any other role in leadership that he occupies. Other leadership roles include; lay Pastor, team leader, and team member, paid staff or band leader. Elders can serve on a team as a non-voting representative and liaison to the Pastor. All discussions between the Elders are strictly confidential; this includes not discussing Elder issues with the spouses of Elders or other church members. Breaking confidentiality is grounds for removal. Elders do not meet without all the Elders present including the Pastor if this is possible and absolutely never meet to discuss problems about the Pastor or another Elder without them present. The Pastor-Elder and Elder-Elder relationships must be 100% transparent. God’s Word gives us specific qualifications, in 1 Timothy 3:1-12, for those who are called to serve as leaders in our church. Below are the biblical and culturally relevant qualifications that apply to Elders in the Lost Pines Cowboy Church. Verse 1 - Here is a trustworthy saying: If anyone sets his heart on being an overseer, he desires a noble task. 1. Elder must acknowledge the importance and respect God gives to someone called to lead the church. 2. Elder must be someone with a good testimony in his home, the church, and in the culture God has called this church to reach. The church acknowledges that none are without sin; an Elder must be someone who is seeking righteousness. 3. If an Elder is married, he must have only one wife and love her as Christ loves the church. Previous divorce alone is not grounds for disqualification. 4. Elders are called to handle very difficult situations at times and must be able to control their personal feelings, emotions, and actions in order to seek what God would have them do and not their own desires. 5. An Elder must be respected in the church, at home, and in the culture. An Elder must respect people in his family, the church, and his community. 6. An Elder must be willing to open his home and give of his time to meet and the serve the people in the church. 7. An Elder must spend time in God’s Word and be comfortable and willing to instruct others in the church in studying the Bible. 8. An Elder must not be controlled by alcohol or anything else that impairs his ability to make sound decisions or damages his testimony in the church, home, or culture. 9. An Elder must be able to handle situations calmly without becoming verbally, physically, or emotionally abusive. 10. An Elder must never be involved in matters that cause dissension in the church. 11. An Elder must be someone who is willing to put the needs of the church above his own desire for worldly possessions. 12. An Elder must be leading his family the way God directs in Scripture and be involved in the lives of his family. 13. An Elder must not be new Christian or someone who is not maturing in his faith. While Spiritual maturity is something none of us will completely attain until we are in the presence of God, it is also something that takes time. An Elder must meet a minimum level of maturity as outlined in Hebrews 6:1-2. 14. An Elder must be in good standing with people who are not a part of the church. He must have credibility with the rural/western culture we are seeking to reach. 15. An Elder must look to Gods Word for the direction and words used to lead our church. 16. An Elder must be someone who has led others in our church, (ministry teams, worship, etc.) or is active in church events/services. 17. The following qualification will go into effect no sooner than 5 years following adoption of this constitution: An Elder must be an active resident member of the Lost Pines Cowboy Church for no less than two (2) years and be in good standing with the Church. 18. An Elder must a have an understanding and desire to see that the Mission of the Lost Pines Cowboy Church and its values are upheld. 19. An Elder cannot have a spouse or family member who serves as paid or volunteer staff including but not limited to church clerk, church secretary or church finance secretary. 20. Elders must be willing to rearrange their daily schedules or do whatever it takes to ensure the Mission of the Church and any business necessary is fulfilled. 21. If arguments and disagreements arise in the church an Elder must be able to take a neutral position, suspend judgment, hear both sides, and seek only God’s direction based on Scripture. 22. Elders must exhibit maturity and wisdom. 1. Thereafter on or about January 1st of each year, the church will be asked to submit in writing the names of men to serve as Elders. These names will be screened by the Pastor and existing Elders to ensure that the nominees meet the qualifications set forth above. Before being considered, nominees will be interviewed by the existing Elders to further determine qualification. If it is determined that a nominee is qualified, he will be considered as a candidate. However, if the Elders, the Pastor, or the nominee determine that he is not qualified; he will not be a candidate. 2. Once a list of qualified candidates has been assembled, the Elders and the Pastor will select the new Elder in accordance with Acts 14:23 on or before January 31st of each year. He will serve as Elder until the next selection unless precluded by death, resignation, or removal. 3. The first slate of selected Elders will have a one, two and three year term. These first terms will be determined by lottery. Thereafter all terms will be three years and only one new Elder is to be selected each year. After an Elder has rotated off for a year he will be eligible to be a candidate for Elder again if it is determined that he is still qualified. Any active resident member of the church may bring a written scriptural reason for removal of an Elder if they have two witnesses. Elders other than the Pastor may be removed from office by their own decision or by consensus decision of the other Elders. Removal shall be based upon being spiritually unqualified, the inability to serve or as a result of the process laid out in Matthew 18:15-17 or failure to fulfill their commitments as an Elder. Elder vacancies can occur by death, resignation, or removal. When a vacancy occurs, the existing Elders shall select an interim to fill the vacancy until the next selection process. The Pastor and Personnel Team will employ and terminate other employees as necessary. Ministry teams will be made up of team representatives and team members. There will be no less than 4 no more than 10 team representatives and as many members as needed to carry out the mission of the ministry team. Team representatives are responsible for attending regularly scheduled ministry team meetings and reaching consensus on decisions. Team members will have individual functions and responsibilities as assigned by the team representatives. A staff member or lay Pastor will be assigned to each team to offer assistance and serve as a liaison between the team and the senior Pastor and the team leader and will be responsible for ensuring that the team functions properly. Teams will function by consensus, not majority vote. Teams must arrive at decisions that can be supported by each member of the team. If consensus cannot be reached, the matter shall either be tabled or placed before the Pastor and Elders for a final decision. Ministry teams that have their own budget line must make a justified budget request to the Audit Team for the annual budget. The ministry team is responsible for staying within their budget and giving an account of all of their activities at the monthly leadership team meeting. The teams make their own decisions about what they will do in their particular areas of ministry and they will choose how to allocate their budget dollars, however, all major decisions that could affect church direction or church sponsored activities should be brought before the leadership team before being implemented. Teams will hold firmly to the Mission Statement of the church and filter everything they do through this mission statement and each team will have its own Purpose Statement to help guide its direction. Team members must: be members of the church in good standing, love the Lord and have a desire to see his kingdom grow, have credibility with other church members, have a passion for the mission of the team, be determined to make the team a top priority in their lives (this means that they are willing to rearrange their daily schedules or do whatever it takes to participate in team meetings and activities), and desire to use their talents and abilities to accomplish the team’s mission. Members of general ministry teams may be appointed by the Pastor and/or Elders, or be enlisted by a lay Pastor or ministry team leader. The term of office for general ministry team members will be one year, but members may serve multiple terms by mutual consent of the team leader, lay Pastor, and team member involved. All selections of team representatives must be approved by the Pastor. Standing ministry teams shall provide oversight of the church’s regular business affairs and assist in finding and providing the tangible resources necessary to effectively carry out the church’s ministries and business. Standing ministry teams shall be composed of six members serving two-year terms with three members rotating off each year. A staff member or lay Pastor will be assigned to each team to offer assistance and serve as a liaison between the team and the senior Pastor and Elders. Each year, one member of the team shall be designated by the lay Pastor or staff member to be team leader and will be responsible for ensuring that the team functions properly. Teams will function by consensus, not majority vote. This means that teams must arrive at decisions that can be supported by each member of the team. If consensus cannot be reached, the matter shall either be tabled or placed before the Pastor and Elders for a final decision. Qualifications for standing ministry teams will be the same as those of general ministry team members (Article IV, Section 1). The Facilities Team will have up to six members and be responsible to ensure that the church has adequate facilities to effectively carry out its ministries. They will oversee the maintenance, and use of all facilities and grounds except the arena. They will not oversee paid staff. Any concerns the Facilities Team may have with paid staff are to be taken to the Personnel Team and the Personnel Team will interact directly with paid staff. The Facilities Team will also assist the Pastor and Elders with long range planning which will ensure that the church has adequate facilities to meet future needs. The formation of the Facilities Team will be the same as for a general ministry team as described in Article IV, Section 1, D. The selection and term of office will be the same as for a general ministry team as described in Article IV, Section 1, E. Grounds for removal are the same as for a general ministry team as described in Article IV, Section 1, F.
The Audit Team is made up of no less than 3 no more than 7 members. They meet once a month to audit the financial records. They only verify and report. They have no decision making authority about how money is spent. It is the Audit Team's responsibility to get budget requests from all of the various ministry teams and church administrators and put together an annual budget to be presented to the church for a vote. When putting together the budget the team will take into account projected church income based on history and realistic growth potential, church mission statement, church needs and priorities. A proposed budget will be presented at a monthly leadership team meeting for discussion before being put up for a vote. The leadership team must reach consensus on the budget before it is presented to the church for a vote. The budget will then be put up for a vote at a called business meeting where it will be voted on by the congregation. The budget can only be adopted by a 2/3 majority vote of the congregation. The Audit Team may be enlisted by the Pastor and Elders to come up with some policies related to finances, these polices can only be adopted by a 2/3 majority vote of the congregation. The formation of the Audit Team will be the same as for a general ministry team as described in Article IV, Section 1, D. The selection and term of office will be the same as for a general ministry team as described in Article IV, Section 1, E. Grounds for removal are the same as for a general ministry team as described in Article IV, Section 1, F.
The Arena Team will be responsible for providing the tools, resources, and personnel necessary for the church to effectively carry out its arena ministry. They shall be responsible for the oversight, maintenance, and use of the arena. They will work with the Leadership Team as well as other ministry teams to develop strategies and plan events that will utilize the arena to effectively reach the cowboy/western culture for Christ and provide the hub for family life in the church. The Arena Team will be structured and function the same as a general ministry team as described in Article IV, Section 1, B. It may be determined that the Arena Team needs a separate checking account to handle incoming and outgoing funds. Any financial accounts are subject to the Audit Team and finance secretary and all financial activity is subject to the policies and procedures set forth by this church for the handling of finances. The qualifications for the Arena Team will be the same as for the general ministry teams as described in Article IV, Section 1, C.
The formation of the Arena Team will be the same as for a general ministry team as described in Article IV, Section 1, D. The selection and term of office will be the same as for a general ministry team as described in Article IV, Section 1, E. Grounds for removal are the same as for a general ministry team as described in Article IV, Section 1, F.
team will present recommendations to the church for voting and approval. The formation of the Barn Raising Team will be the same as for a general ministry team as described in Article IV, Section 1, D. The selection and term of office will be the same as for a general ministry team as described in Article IV, Section 1, E. Grounds for removal are the same as for a general ministry team as described in Article IV, Section 1, F.
The Worship Team will be responsible for assisting in the planning and execution of the weekly worship service. Team members will assist in the scheduling and managing of the set-up for worship, planning and scheduling music worship and special guests for testimonies or special events, Christmas Eve, and Easter Sunrise services. This team will assist the Pastor in planning and conducting the ordinances of Baptism and the Lord’s Supper. The Worship Team will also work collaboratively with other American Fellowship of Cowboy Churches to support and expand the worship opportunities for Lost Pines Cowboy Church. The formation of the Worship Team will be the same as for a general ministry team as described in Article IV, Section 1, D. The selection and term of office will be the same as for a general ministry team as described in Article IV, Section 1, E. Grounds for removal are the same as for a general ministry team as described in Article IV, Section 1, F.
The Children’s Ministry Team will be responsible for planning and developing the children’s ministry Bible curriculum and discipleship program that will lead the young people of Lost Pines Cowboy Church to become Christians. This team will recruit teachers and leaders for children and youth ministry activities and programs. The formation of the Children’s Ministry Team will be the same as for a general ministry team as described in Article IV, Section 1, D. The selection and term of office will be the same as for a general ministry team as described in Article IV, Section 1, E. Grounds for removal are the same as for a general ministry team as described in Article IV, Section 1, F.
The Benevolence Team will be responsible for determining the assistance and coordinating support that Lost Pines Cowboy Church provides to those who have special needs within our church families and the surrounding communities. This team will work with all supporting community organizations like the Elgin Ministerial Alliance, and local food pantries to help support the needs of our community. This team will make recommendations for special community events and fundraising for the needs of our community. The formation of the Benevolence Team will be the same as for a general ministry team as described in Article IV, Section 1, D. The selection and term of office will be the same as for a general ministry team as described in Article IV, Section 1, E. Grounds for removal are the same as for a general ministry team as described in Article IV, Section 1, F.
The Prayer Team will be responsible for communicating to all the Lost Pines Cowboy Church family the special prayer needs for the church and community. This team will establish a prayer program so that Lost Pines Cowboy Church has a group within the church family praying for the special needs of the church on a regular and consistent basis. This team will also develop a plan for regular prayer time and prayer groups within the church family. The formation of the Prayer Team will be the same as for a general ministry team as described in Article IV, Section 1, D. The selection and term of office will be the same as for a general ministry team as described in Article IV, Section 1, E. Grounds for removal are the same as for a general ministry team as described in Article IV, Section 1, F.
The Personnel Team will be made up of up to six members and will be responsible to ensure that the church has adequate support staff to effectively carry out its ministries. They will fill staff vacancies after a need is determined by the team associated to the position and is directed by the leadership team, conduct periodic staff evaluations, make salary recommendations, and mediate church/staff disputes, terminate staff based on poor evaluations or as directed by the Elders and or the leadership team. In the absence of a Personnel Team, the Elders will serve in the role of the Personnel Team. The formation of the Personnel Team will be the same as for a general ministry team as described in Article IV, Section 1, D. The selection and term of office will be the same as for a general ministry team as described in Article IV, Section 1, E. Grounds for removal are the same as for a general ministry team as described in Article IV, Section 1, F.
The Leadership Team will serve to provide a forum in which the various ministry teams can brainstorm, coordinate activities and events, share resources, and generally work together to enhance the overall effectiveness of the church’s ministries. It will be responsible for setting the church calendar and holding all ministry teams accountable to the church's mission statement, values and constitution. It will be responsible for making decisions that do not fall under specific ministry teams and decisions affecting church direction or involve multiple ministries. The leadership team may be used by the Pastor to help him make decisions involving church direction or ministry. The Leadership Team will consist of the team leaders from each ministry team, the Pastor, the Elders, the lay Pastors, and staff. In addition, its meetings will generally be open to the participation and input of the entire church membership, however, the leadership team may meet in closed meetings but this cannot take the place of the monthly leadership team meeting which is open to the congregation. Leadership team meetings shall be moderated by the senior Pastor or a person whom the senior Pastor will designate. The Leadership Team will meet as often as necessary to effectively plan and coordinate the activities and events of the church. At a minimum the leadership team will meet once every 2 months. The senior Pastor shall serve as the president and overall administrator of the corporation. He will serve as moderator at church conferences and be responsible for ensuring that the daily business affairs of the church are appropriately and effectively executed. Trustees shall sign the title to church property; all legal documents involving the sale, mortgage, purchase, or rental of property; all notes and loan instruments; and such other legal documents as may require execution on behalf of the church. There shall be 3 trustees. The three Elders shall also serve as the trustees of the church. They shall remain trustees as long as they remain Elders. If an Elder is removed, whether by death, resignation, or termination, the duly appointed interim Elder shall serve in their place until the next Elder selection process. The Church Clerk shall serve as secretary of the corporation. The responsibilities of the clerk will be to keep the minutes of all church conferences, insure that a proper file of all members is maintained. A volunteer may be appointed by the Pastor and Elders. A paid staff position can be filled by the Personnel Team. The Church Secretary shall serve as Church Clerk. A system of accounting that will adequately provide for the handling of all funds shall be the responsibility of the Audit Team. The Audit Team, in consultation with the Pastor and ministry team leaders, shall prepare and submit a budget for congregational approval prior to the beginning of each fiscal year as outlined in (Article IV, Sec 3, D, 3). All checks, drafts or orders for the payment of money, notes or other evidences of indebtedness issued in the name of the church shall be signed by at least two people who have been designated by the Audit Team for that purpose. The Pastor and or the Pastor's spouse, an Elder and or an Elder's spouse or other relations of conflict of interest may not serve as check signers. All funds of the church shall be deposited from time to time to the credit of the church in such banks, trust companies or other depositories as determined by the Audit Team. There shall be one annual church conference called in January of each year to vote on the annual budget and other major decisions. Any church conference other than the Annual Church conference must be called for a specific purpose. Church conferences may be called by the Elders or by written petition of 25% of the active resident members presented to the Elders, unless it is a conference to be called to vote on termination of the Pastor; in this case refer to (Article II, Sec 1, C). An active resident member is one who lives in or around the Bastrop/Lee/Travis/Williamson county areas and has attended the church’s regular worship services at least 6 times in the 90 days preceding the circulation of the petition and is currently on the membership role. Notices of the time and place of all church conferences shall be given no later than the Sunday prior to such meetings by publication in the church newsletter or worship bulletin, or by public announcement at a regular Sunday morning worship service. The active resident church members present at any duly called church conference shall constitute a quorum. All Ministry Teams, officers, and organizations of the church shall carry out the will of the church on any given matter, duly expressed by its vote. The order of proceedings at church conferences shall be determined by the rules of practice contained in Robert's Rules of Order, Revised. The Trustee’s shall execute and deliver any contract or instrument in the name of the church which may be authorized by the church to be so executed and delivered. In this connection, the church body as a whole shall be the ultimate authority for all actions taken by the church and no other person, organization or corporate officer shall have any authority to contract or otherwise bind the church without express authorization from the church body. The church shall keep and maintain a complete and accurate record of all financial accounts, membership lists, and church conference minutes at its principle office. All books and records of the church may be inspected by any active resident member, or his agent or attorney, for any purpose at any reasonable time. No member, officer, or person connected with the corporation, or any other private individual shall receive at any time any of the net earnings of pecuniary profit from the operations of the corporation, provided that this shall not prevent the payment to any such person of a reasonable compensation for services rendered to or for the corporation in effecting any of its purposes as shall be fixed by the church; and no such person or persons shall be entitled to share in the distribution of any of the corporate assets upon the dissolution of the corporation. All members of the church shall be deemed to have expressly consented and agreed that upon such dissolution or winding up of the affairs of the corporation, whether voluntary or involuntary, the assets of the corporation, after all debts have been satisfied, then remaining in the hands of the officers of the church shall be distributed, transferred, conveyed, delivered, and paid over, in such amounts as the church may determine or as may be determined by a court of competent jurisdiction upon application of the church, exclusively to charitable, religious, or educational organizations which would then qualify under the provisions of Section 501 (C)(3) of the Internal Revenue Code and its regulations as they now exist or as they may hereafter be amended. Notwithstanding any other provision of these by-laws, no member, officer, or representative of the corporation shall take any action or carry on any activity by or on behalf of the corporation not permitted to be taken or carried on by any organization exempt under Section 501 (C) (3) of the Internal Revenue Code and its Regulations as they now exist or as they may hereafter be amended, or by any organization contributions to which are deductible under Section 170 (C)(2) of such code and regulations as they now exist or as they may hereafter be amended. These Bylaws may be amended by a three-fourths (3/4) vote of the active resident members present at a church conference called for that purpose. Amendments may be proposed by the Elders or by written petition of 25% of the resident membership presented to the Elders. Proposed amendments for church consideration shall be announced at the regular worship service and made available in written form to the congregation two weeks prior to the church conference in which they will be voted on. Amendments will be numbered, dated and attached to the original instrument. The mission of LPCC is to lead people into a growing relationship with Jesus Christ.